SE23: Forest Hill and Honor Oak Park. 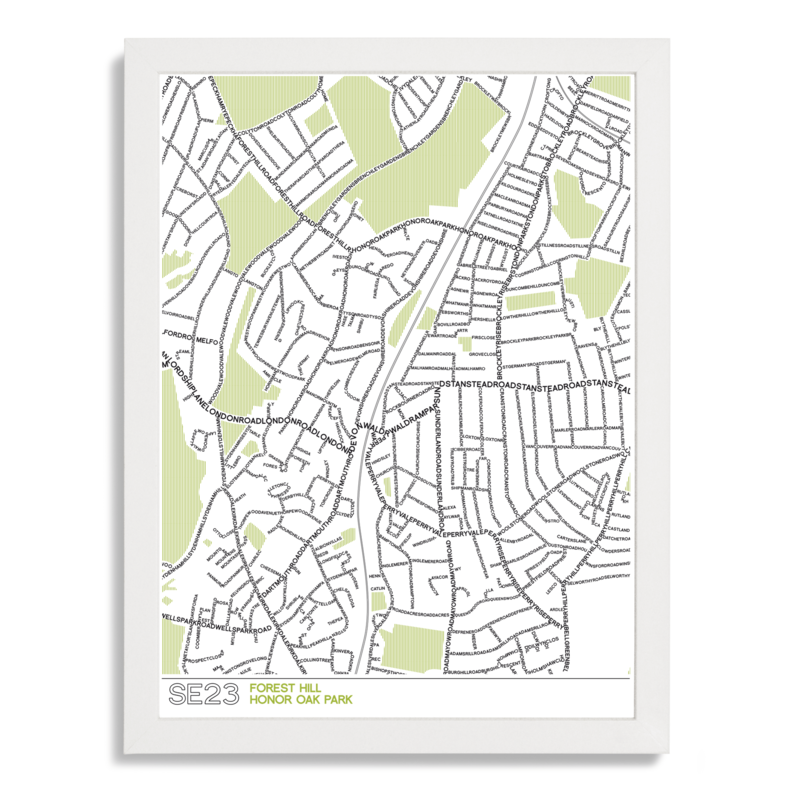 A unique typographic map by Place in Print depicting the streets of SE23. This unique approach to map making uses lettering to spell out each road name, so that the area's street pattern is depicting using words rather than lines. 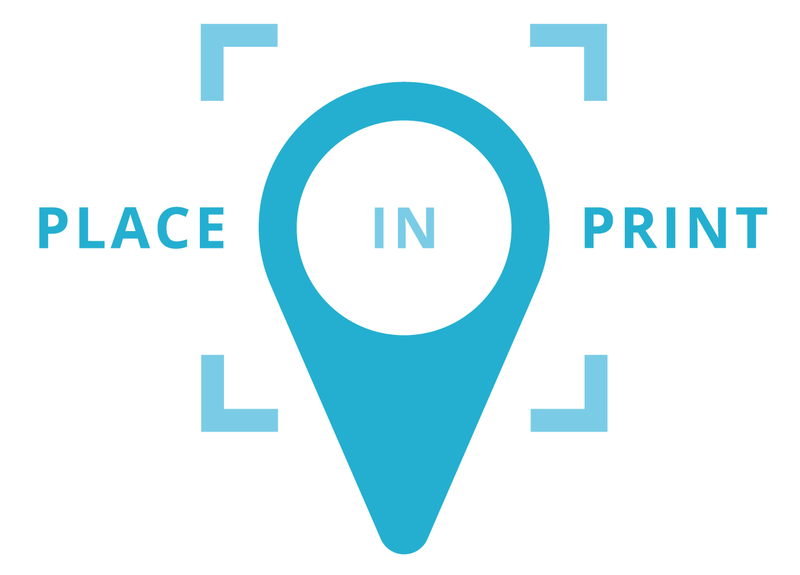 Green spaces and railway lines are also depicted, while a postcode street glossary with grid references allows for speedy navigation and identification. 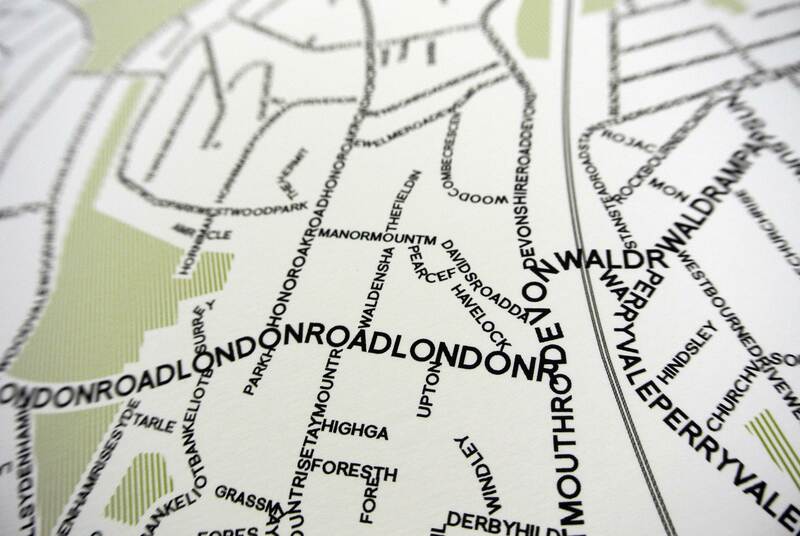 A great gift for map lovers and those passionate about their postcode!